Have a smartphone? If so, you can save lots at Target. Start by requesting coupons via text from Target. To get these coupons, simply use your data-enabled smart phone to text the word SPRING to the number 827438. Target also offers baby product coupons via text. To sign up for the Baby Target Mobile Coupons, just text the word BABY to 827438. Did you know Target has over 100 coupons you can print from their website? Some are manufacturer coupons but many are Target store coupons and they can be STACKED. This means you can use BOTH a manufacturer coupon and a Target store coupon for one item. Click here to download the Shopkick app. Click here to get the free $2 Target e-gift card. Redeem by May 31st by walking into any Target store. Open the app when you walk in. Stand in the doorway for a moment. The app will recognize you are in Target, give you the free e-gift card AND kicks for walking into the store! Use the e-gift card at the register by having the cashier scan the bar code in the app. 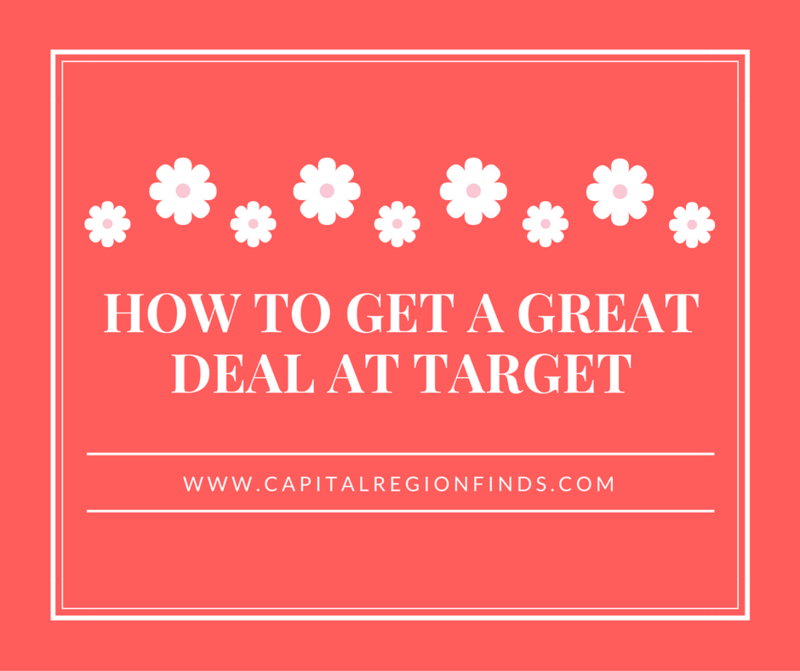 Pingback: Target Coupon: $10 off $50 Grocery Purchase | Capital Region Finds- Great Local & Online Deals! Pingback: 70% off Clothing Clearance at Target | Capital Region Finds- Great Local & Online Deals!